The Mazda CX-5 is a compact five-seat crossover SUV. 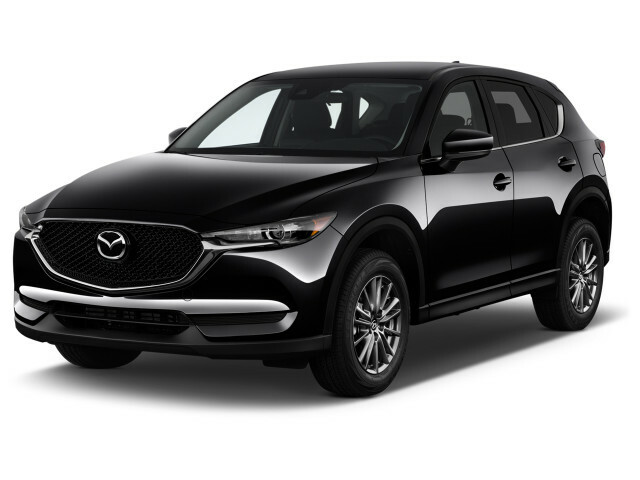 It replaced the CX-7 in the company's lineup in the 2013 model year, and now is slotted between the smaller CX-3 and the three-row CX-9 in the Japanese automaker's sport-utility lineup. The CX-5 is is a handsome crossover utility vehicle offering better-than-average interior space and flexibility, as well as excellent roadholding and surprisingly high gas mileage in real-world usage. 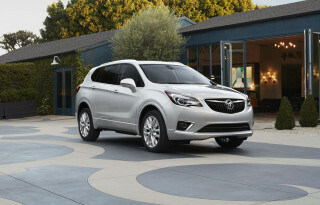 With the CX-5, Mazda has a rival for such compact crossover mega-sellers such as the Honda CR-V, Ford Escape, Subaru Forester, Jeep Cherokee, among many others. For 2018, the CX-5 adds cylinder displacement technology that helps improve its fuel economy, although only slightly. Finally, after too many years with below-average power, the CX-5 gained a turbo-4 for the 2019 model year, along with two new luxury trim levels. A new Mazda CX-5 made its debut for 2017 with some familiar numbers. The car was powered by the same 2.5-liter inline-4 found on older models, although heavily reworked, and the dimensions were largely unchanged—the car's interior and wheelbase were mostly unchanged. The exterior sheet metal was revised for simpler, more elegant lines, and the interior of the new CX-5 borrowed heavily from the CX-9 that was released just a year earlier. A 7.0-inch touchscreen was standard on all cars, but initially wasn't offered with Apple CarPlay or Android Auto. Rear seats added a small reclining feature—helpful for longer torsos—and upscale materials were added throughout the cabin. Mazda said they would offer a turbodiesel in the CX-5 later in the year, but similar promises for the Mazda6 never panned out years earlier. Despite the lack of engine options at launch, the CX-5 managed impressive handling and sharp acceleration—something the earlier generation had in spades—while improving on interior materials and quieter ride. Fuel economy hovered in the high-20s combined for both front- and all-wheel drive cars, and although the returns were impressive, smaller-displacement engines in some competitors started to catch up to the CX-5. For 2018, the CX-5 added more standard equipment at every trim level and its inline-4 was upgraded with cylinder deactivation technology that lets it run on just two of its four cylinders. Despite the roominess inside, the base CX-5 was powered by only a 155-horsepower, 2.0-liter inline-4, producing 150 pound-feet of torque, which could be ordered either with a 6-speed manual or a 6-speed automatic. 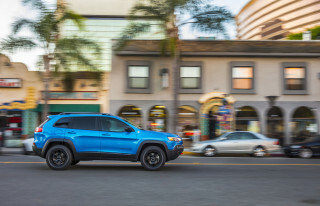 If you want all-wheel drive, you can get it with any trim level—which we applaud—but only with the automatic transmission. The base SkyActiv powertrain delivers remarkable fuel efficiency. Both front-wheel-drive versions were EPA-rated at 29 mpg combined, with the all-wheel drive model (automatic only) dropping to 28 mpg. But we did much better than that, as Mazda quietly says many drivers will. Just a year after its launch, the CX-5 received a solid update for 2014. 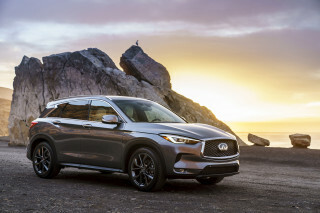 The most obvious change was the addition of a larger engine for higher trim levels; Sport models retained the 2.0-liter, while Touring and Grand Touring CX-5s use a 2.5-liter SkyActiv 4-cylinder that delivered 184 hp. The bigger engine takes a second off the 0-to-60-mph time and only gives up 1 mpg in the EPA's combined rating, while bringing power that some thought was lacking from the 2013 models. From the outside, the CX-5's lines are typically Mazda. 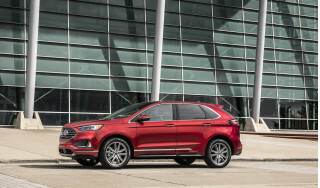 The styling married a swoopy profile and strong accent lines to a restrained but still aggressive trapezoidal grille and relatively slim headlights that are swept back into the fenders. 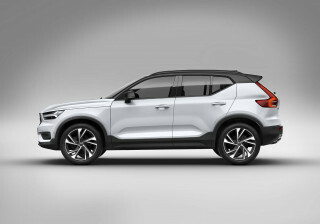 It's a sporty look for a crossover, though rear three-quarter vision is hurt by the rising beltline and tiny triangular third window on each side. And it's a shape surprisingly sensitive to color choice. Certain shades—dark gray is one—belie the crossover's body height and make it look almost svelte, though others show the tall doors all too plainly. While certainly attractive, the CX-5 really stands out for its excellent handling. It acts more like a large hot hatch or a sports sedan than it does a crossover; sharing much with the Mazda 6 sedan, it feels very similar, just with a different point of view on the road. There's little roll in cornering, the steering has the right amount of effort and decent feedback, and there is ample grip to push it on on-ramps. If you feel you must have a SUV for family reasons, this is one way to still have fun on the occasional back road or even your commute. Inside, the driver sits high, but not as high as in some competitors. Mazda says seat height is exactly halfway between a standard sedan and the typical crossover, which we think is a good compromise. The dashboard is straightforward and handsome, with soft-touch materials on most surfaces. Seats are comfortable and there's a lot of rear leg room with the front seats positioned for 6-foot-tall occupants. The load deck is surprisingly large, and a clever articulated seat mechanism moves the rear-seat cushion forward and down when the seatback is folded forward—giving a lengthy and completely flat load floor. The CX-5 came with only six airbags, but it immediately earned a Top Safety Pick nod from the IIHS and was upgraded to Top Safety Pick+ for the 2014 model year after an improvement to its small overlap front score and the addition of active-safety features. The CX-5 was updated again for the 2016 model year, mostly for aesthetics and with features. A new version was released for 2017. "expert rating" 6 and real world user rating is 9. Pretty much the whole review is ranting about the infotainment system and how there's no CarPlay/AA. I'll stop reading this garbage site from now. 2018 Mazda Grand Touring AWD is awesome!